On Martin Luther King Jr. Day, our country takes time to reflect on the civil rights leader’s life, vision and legacy. Many also use it as a day of service to their communities. So it’s fitting today that we look at a community collaboration named after King’s father, the Reverend Martin Luther King Sr. (1899–1984), who inspired him and served as his co-pastor at Ebenezer Baptist Church in Atlanta, Georgia. King Sr. was an inspiration to the many preachers and civil rights activists who followed his example. He was a major civil rights figure in Georgia and served as head of the National Association for the Advancement of Colored People in Atlanta. 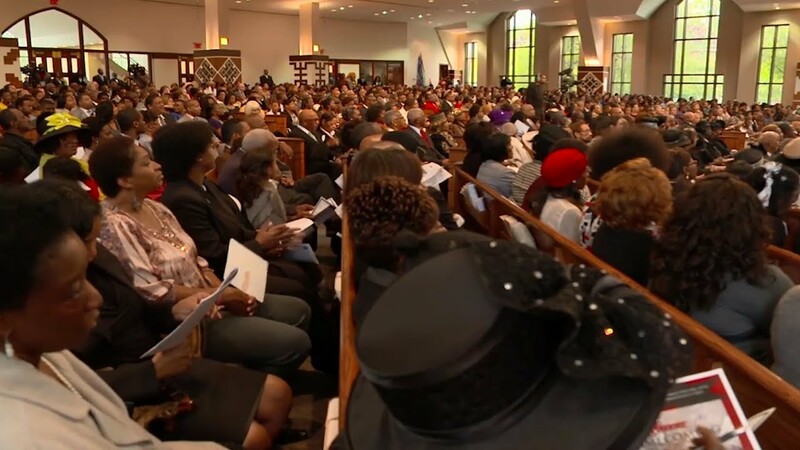 In addition to his leadership at Ebenezer Baptist Church, King Sr. organized and brought people together so they could get through the hard days of the Depression. He devoted his life to improving the fate of others. Described as a one-man service center, he supported people in his community by lending a hand with whatever challenges they faced. The Martin Luther King Sr. Community Resources Collaborative has been building on his legacy by serving Atlanta’s Sweet Auburn and Old Fourth Ward neighborhoods since 2012. It has helped them to tap into the strength, wisdom and vision within their own communities to help families build better lives. Learn more about the collaborative's mission and work in this Casey Family Programs 2014 video. The collaborative is a joint project led by Ebenezer Baptist Church and supported by Casey Family Programs, Operation Hope, nsoro Educational Foundation and The Center for Working Families, Inc. It provides wrap-around services to individuals and families in employment, education, housing and child and family services. The collaborative has built a community-driven partnership that brings together faith-based institutions, nonprofit social service organizations, economic development groups, government agencies, philanthropies and other groups focused on improving results for children, their families and the community surrounding the church. Ebenezer Baptist Church, founded in 1886, had always been instrumental in social activism, and it was where Martin Luther King Jr. was trained and served. The church is located in a once-thriving community that experienced urban decay and blight when inequitable policies of the 1970s, 1980s and 1990s led to disinvestment and disparities in outcomes. Christine King Farris, daughter of Martin Luther King Sr., described the collaborative as representing her father’s life. The collaborative is helping neighborhoods tap into the strength, wisdom and vision within their own communities to help families build better lives.